An official information dedicated to the long-awaited draw, which will take place on Wednesday, April 10! The event will be held in the hall “Presidential” of “Russia Today”. The press conference will be attended by the Minister of Sports of the Russian Federation Pavel Kolobkov, the head of the Moscow Sports Department Alexey Kondarantsev, the general director of the Directorate of Moscow sport and entertainment events Alexander Polinsky, trainer Edgard Zapashny, singer and composer Dmitry Malikov, world and European champion in figure skating Ilya Averbukh and co-chairman of the organizing committee of the festival “Art-football” Yuri Davydov. The speakers will tell which artists and musicians will represent their countries, and who the audience will see on the field and in the festival’s music and concert program. 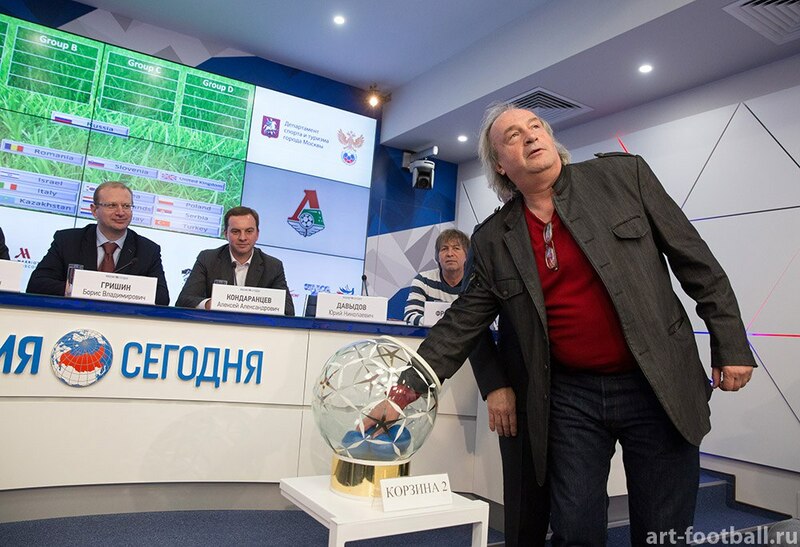 Journalists will be presented with teams and the results of the draw, as well as the program of the charity of the festival. We will conduct a live broadcast from the event In social networks and on the website, stay tunned!